Stand mango, one at a time, stem end down, and hold. 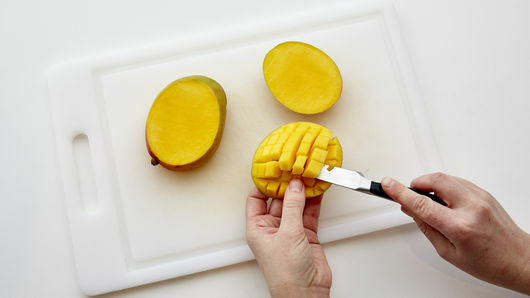 Look for two wide sides or “cheeks.” Starting at top, place knife about 1/4 inch from widest center line, and cut down through mango, cutting around flat seed in center of fruit. Repeat with opposite remaining wide side. 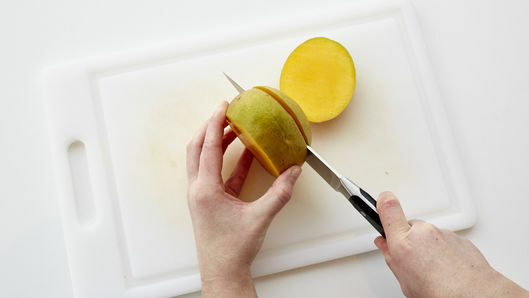 To remove mango pieces, push skin inside-out so cut mango pieces fan out, and cut pieces from skin. Cut two remaining narrow sides from pit by cutting around pit. 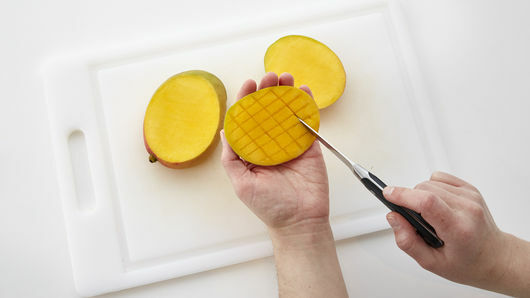 Peel and cut mango pieces. Repeat for remaining mango. In medium bowl, add mangoes. 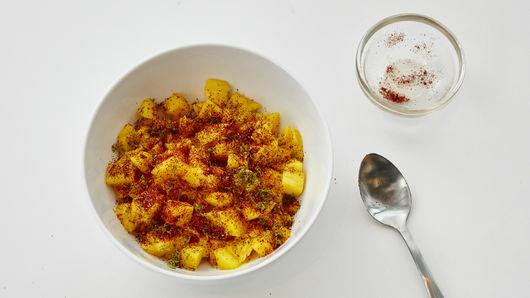 In small bowl, mix lime peel, chile pepper and salt; sprinkle on top of mango mixture, and mix well. Serve. This salad is great served with grilled meats, yogurt or on its own. 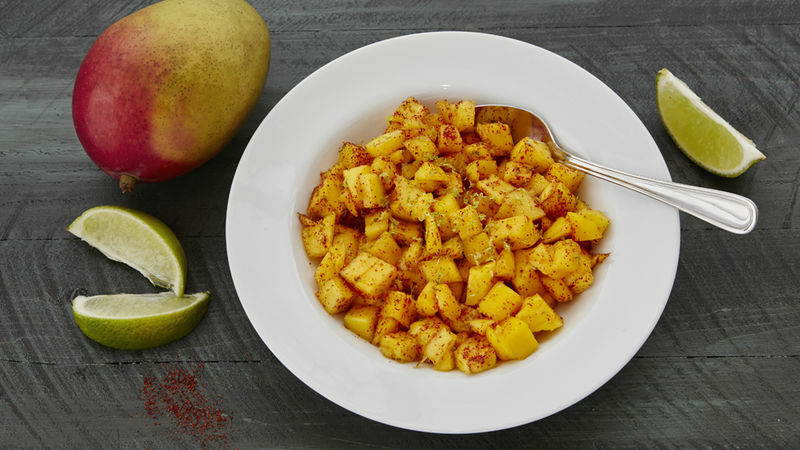 Ripe mangoes have the best flavor and texture. Squeeze the mango gently. A ripe mango will give slightly. For extra lime flavor, stir in a squeeze of fresh lime juice.